Prince William is excited that his brother Prince Harry is engaged to be married but the reason for his excitement is quite hilarious. Prince William has now commented on Prince Harry's engagement to Meghan Markle. 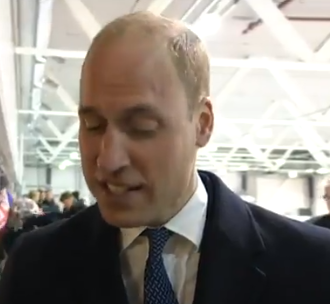 The Duke of Cambridge said he is very excited for his brother and Meghan and is wishing them all the happiness. He then went on to say that he hopes Harry's engagement means he will stay out of his fridge because as a bachelor, he's been raiding his fridge over the last few years. "For me personally, I hope it means he stays out of my fridge."